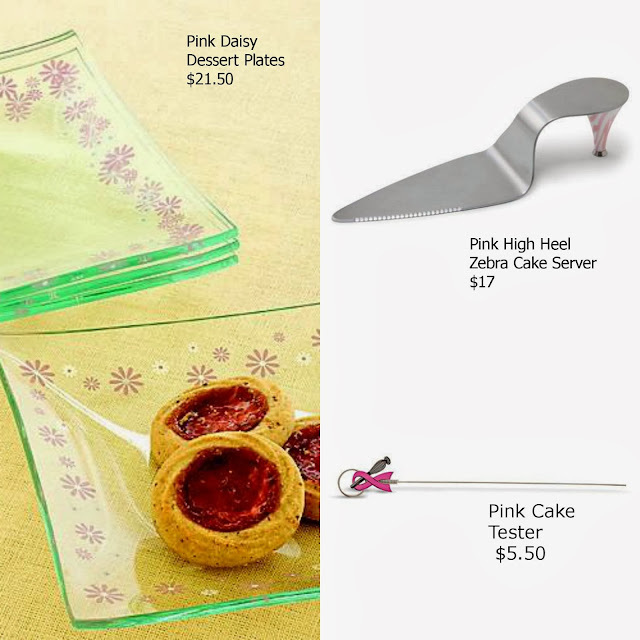 Every October and May the Pampered Chef comes out with special pink Help Whip Cancer items. For each one of the items sold this month the Pampered Chef donates $1 to the American Cancer Society. The Pampered Chef has been working with the American Cancer Society for years and years and have been able to raise so much money for a great cause. I know that people I have lost eventually to cancer would not have been able to be with us as long as they were if it weren't for amazing organizations working and doing research to help treat and maybe eventually cure cancer. This month the pink products are super cute! Mom is already getting at least one of the Zebra Cake Servers and I'm definitely obsessed with those plates. I'm not sure why but cute little appetizer plates are my new obsession! This is pretty neat. I love companies that give back! This is so wonderful! What a blessing when companies look outside themselves.